Just How Good Is Memotenz? 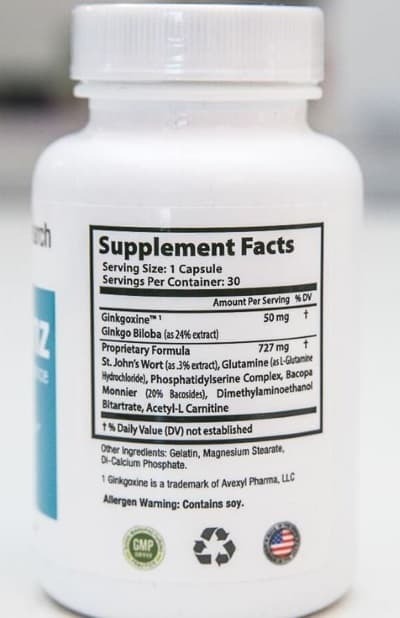 I spend a lot of my working life researching and reviewing nootropic supplements, and one that came to my attention quite recently was Memotenz… made by California based Health Research Institute, the makers certainly make some bold although not uncommon claims about their product…. Ingredients are king…. use the right ones in the right quantities and you are onto a winner, use the wrong ones or fail to put enough of the key ingredients into the formula and all you will be left with is frustration and disappointment.. The makers start off quite well by putting 50mg of a Gingko Biloba extract that they call ‘Ginkgoxine’… Gingko is one of the older natural extracts known to man (it dates back to the time of the dinosaurs) and does have a solid reputation for being able to boost brain function.. It helps to increase blood flow throughout the brain cells, helping it to function at higher level..
Acetyl-L-Carnitine – Thought to speed the brains reaction times and alertness, and boost blood flow.. There is virtually no verified independent feedback available, the only testimonials that I can find are on the official website..
Because of this, I always view these ‘official’ reviews with a certain amount of scepticism as there is every chance that they are merely marketing hype prepared by the manufacturers for their own use..
At the moment you can only buy Memotenz direct from the manufacturers, you will NOT get it from Amazon, Walgreens, GNC or any other online source. You will have to pay both the return shipping and a 20% “handling or restocking” fee… So Do Not Expect Your Full Money Back. Despite all the manufacturers positivity and marketing hype, there isn’t a lot of substance to this product… the dosing (that I know of) is quite weak…. Taking Gingko Biloba as an example, experts agree that in order to get any positive effects, you need to be taking at least 120mg and possibly up to 360mg daily – at 50mg the amount in Memotenz is much less than that amount..
Another one to consider is the amount of Acetyl-L-Carnitine in the mix…it forms part of the undisclosed proprietary blend (727mg in total). Experts again agree that to achieve any beneficial effects, you need to be taking 600mg as a minimum and possibly up to 2500mg daily…. With this and 5 other ingredients crammed into the 727mg blend, there is no way that there is enough of this or any other ingredients in the mix – just do the maths. To Sum up…. 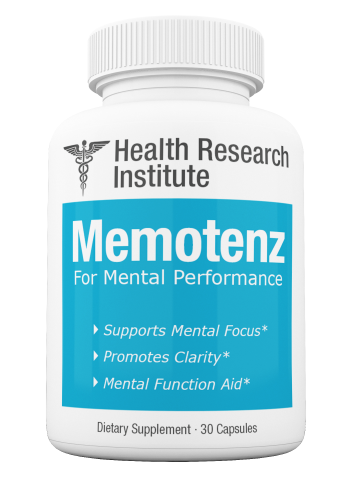 Memotenz is a weakly formulated nootropic at best, it does have some decent ingredients, but they are simply not included in sufficiently large enough amounts for them to have any real nootropic effects..
With very little feedback,and a virtually worthless guarantee, there is nothing that even slightly encourages me to recommend it as a viable nootropic..
Quite Frankly There are Many Better Products Out There..